It is very easy, in the pet care industry, to get caught up in the day to day happenings of our business. Every day is different and we are faced with new challenges. Being distracted or working “In” your business on a daily basis can really take away the focus of accomplishing some of the more global goals and needs of your business. Sometimes you don’t have a choice and you have to jump in to groom that dog, clean suites, exercise dogs or handle a difficult client situation. But you can also have a plan and work towards putting people and systems in place to maximize your valuable time. In order to grow as a business and to realize the financial benefits of being an owner, it is often necessary to take a step back and to see whether you’re missing a chance to make a more meaningful contribution to your business. 1. Are you wearing multiple hats in your company? Determine what functions you don’t have to perform to make your business successful. You may be surprised and able to find someone to accomplish these tasks even better then you could. 2. Delegate activities you’re still doing yourself because “no one else can do them as well or as quickly.” Delegation is healthy and necessary if you expect to grow as a company and as a person. It also gives your employees the opportunity to take on more responsibility and gives advancement opportunity. 3. Identify one mundane, time-consuming task that you could outsource. Even if it means spending money, it means you can spend your time on getting more revenue which will more than pay for the outsourcing. 4. Do you have multiple projects on your to-do list? Take time to review and reset your priorities. Determine who is best suited to accomplish these tasks; it doesn’t always have to be you. 5. Make sure you take the time to congratulate yourself and your employees on the successes in your business. This will go a long way retaining employees and you work hard, it is important to pat yourself on the back once in a while. Everyone has different skill sets. When left alone, we tend to revert to those that are easiest to do primarily because of habit. Your business needs your attention in many more places than just the day to day tasks which may seem the easiest for you to accomplish. I hope some of these ideas inspire you to reconsider your priorities and shift your behavior so you can effectively work “ON” your business and not “IN” it. 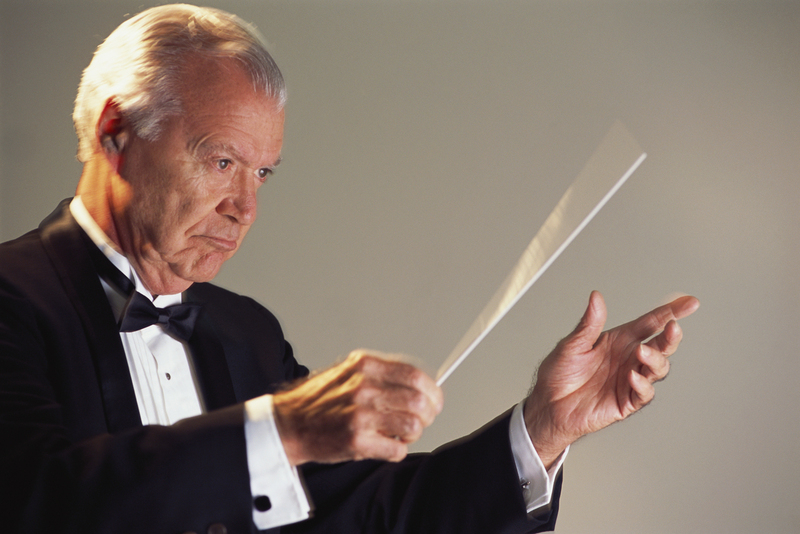 It is not unlike a symphony orchestra; you are the conductor, not the lead violinist. What other tips do you have? Leave a comment or tell us a story of how you took a step back to work “ON” your business. Next Next post: Don’t Forget to Keep Marketing!